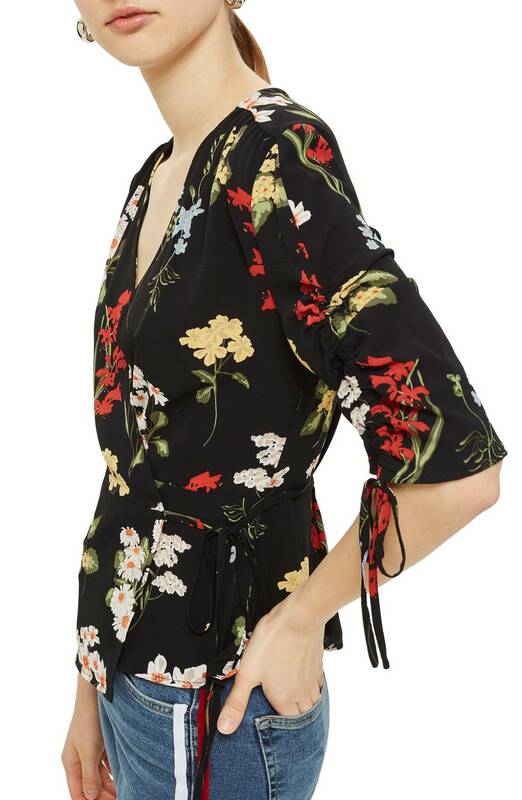 It looks like spring is going to be a big season for florals—I had to divide this post into a two-parter because there were so many good ones to fit in. I’m a fan of all kinds of them, but my favorites are those against a dark background, like this one from Theory. I like the sweet print and subtle flutter sleeves on this Rebecca Taylor number. 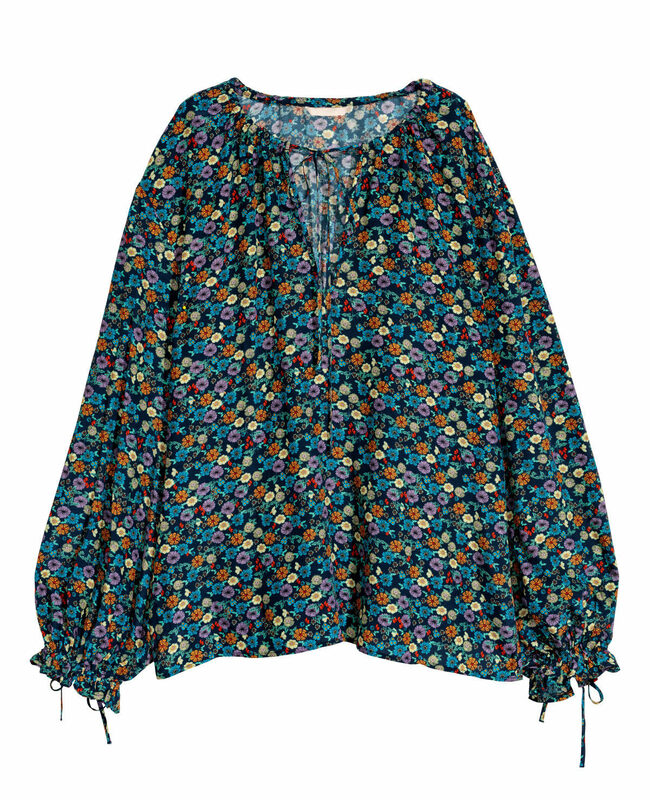 A thing I learned about H&M today: most of their stuff, like this cute peasant top, goes up to size 16. 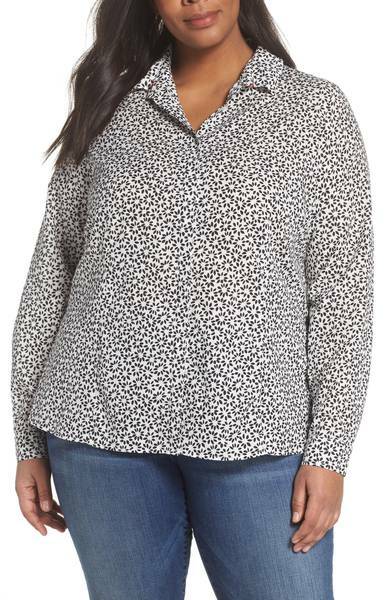 There’s something a little Asian about the print on this blouse. I also like the deep V-neck. This would really pop under a blazer. The green background here is just so good. 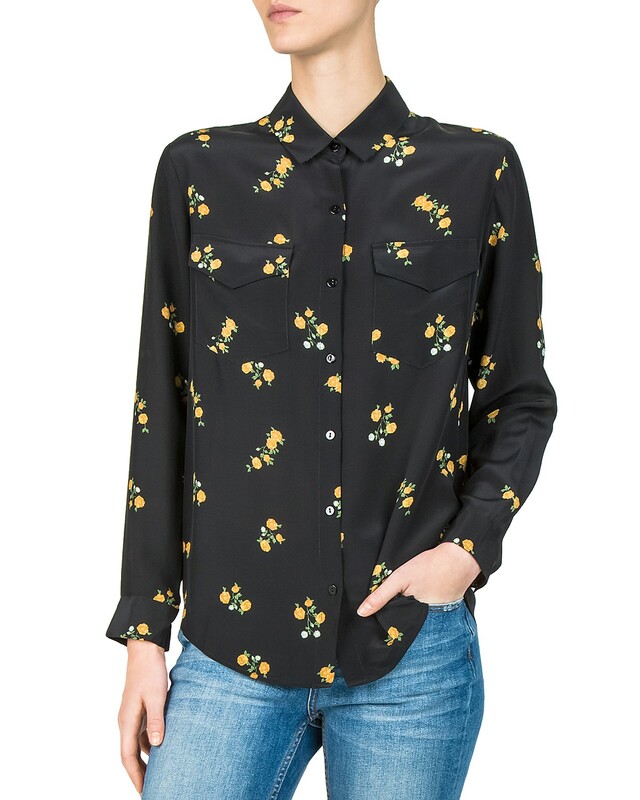 Wee yellow roses make this button-down a kind of funky choice. 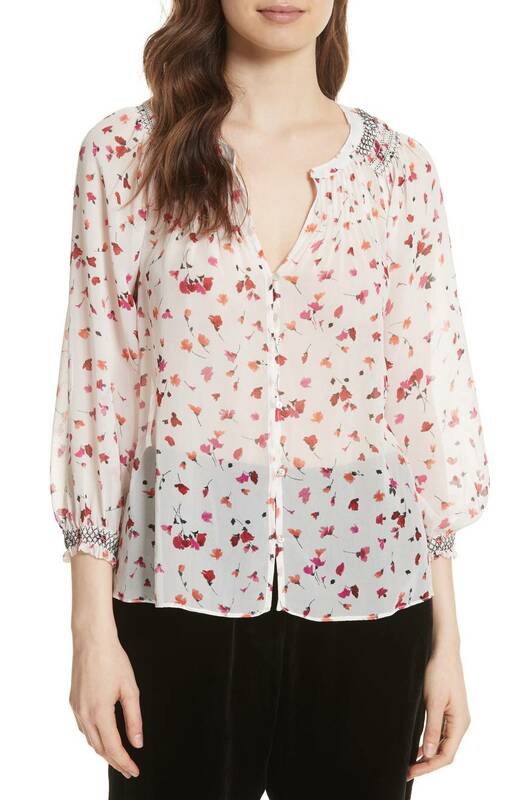 I love this top: super-feminine, with a very subdued print. And here’s a much louder choice: something about the flowers with stripes really appeals. 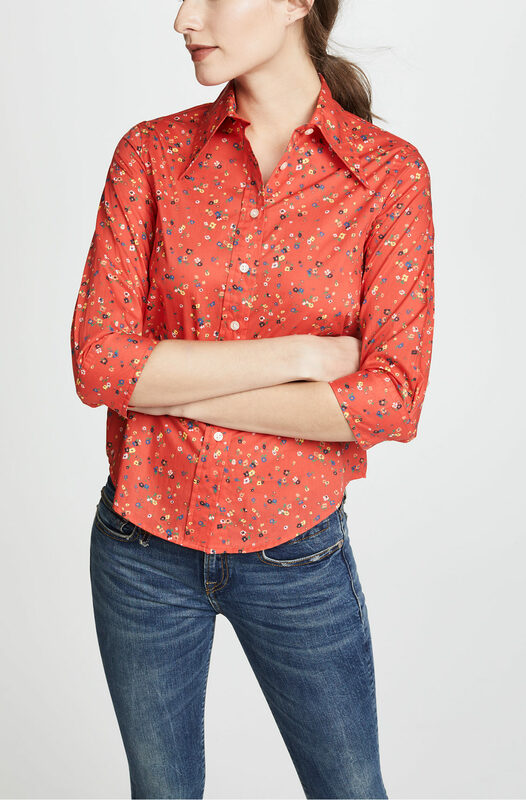 A fun little graphic print on an ever-versatile button-down. This has a very flattering silhouette. 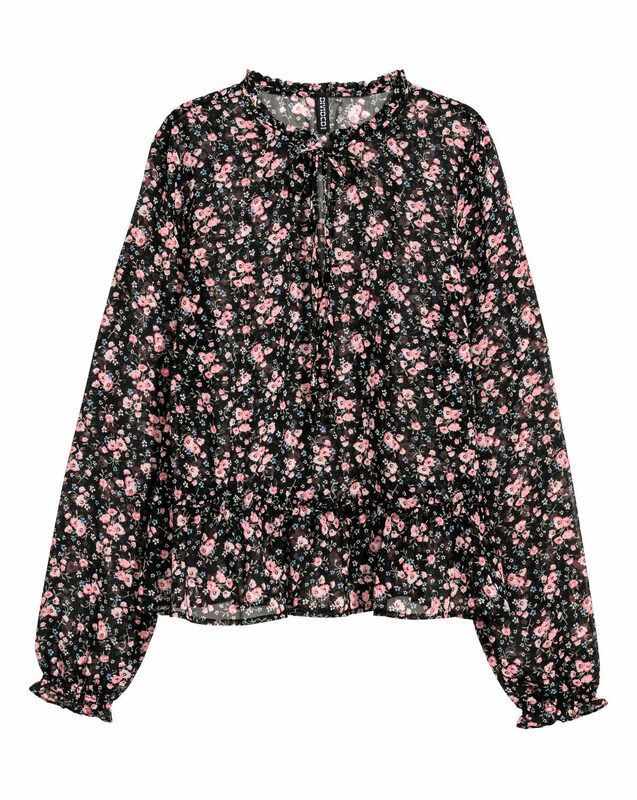 The print on this wrap blouse is just unstoppable. 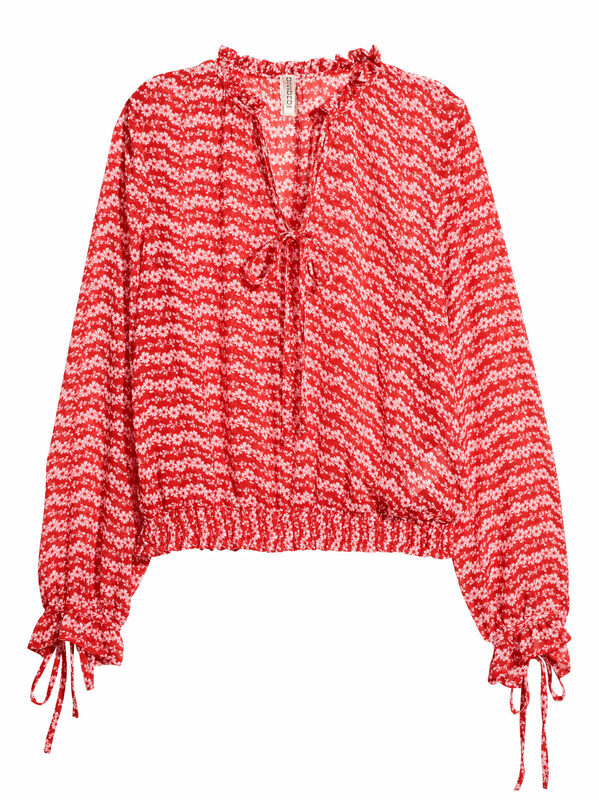 I like the smocking on the neckline and sleeves of this Joie top. Another pretty fun and loud blouse. Such a lovely, delicate cami. 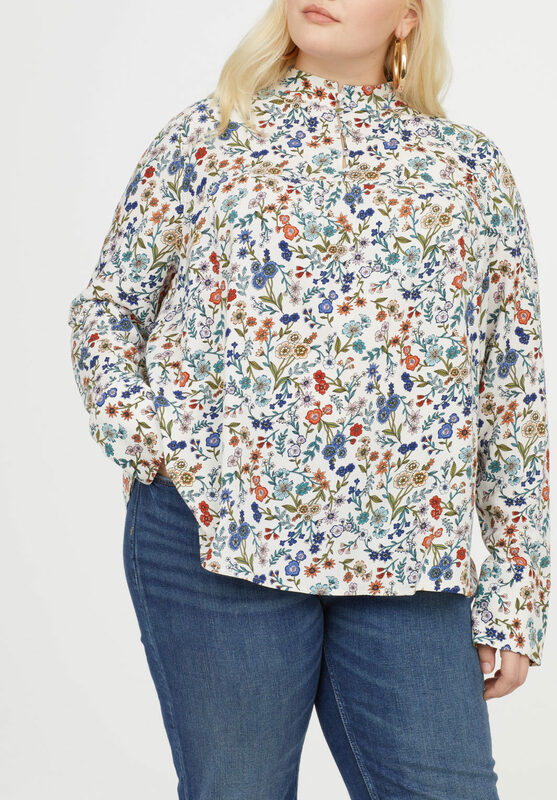 This print looks like Liberty, but it’s really H&M. 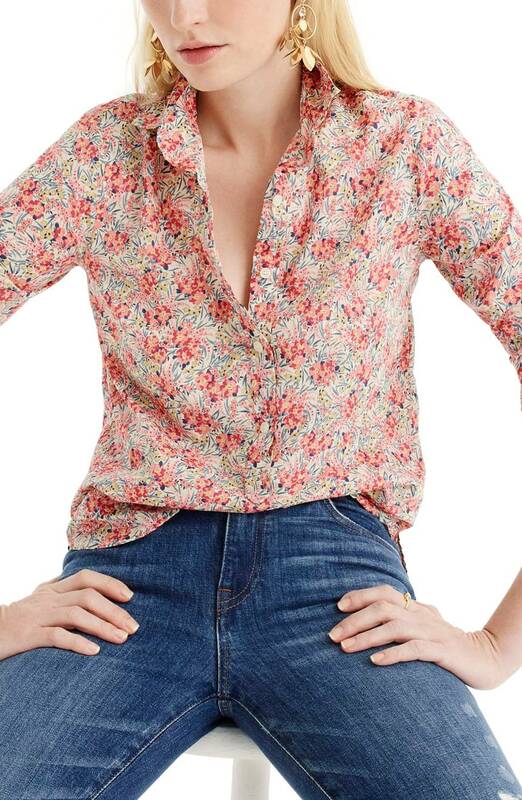 And here’s one of J. Crew’s excellent Liberty prints. 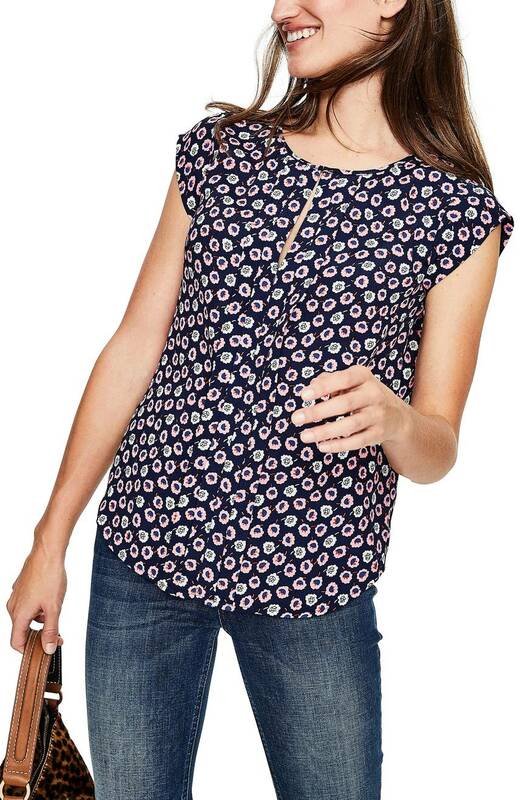 I like that this Boden floral almost looks like dots. 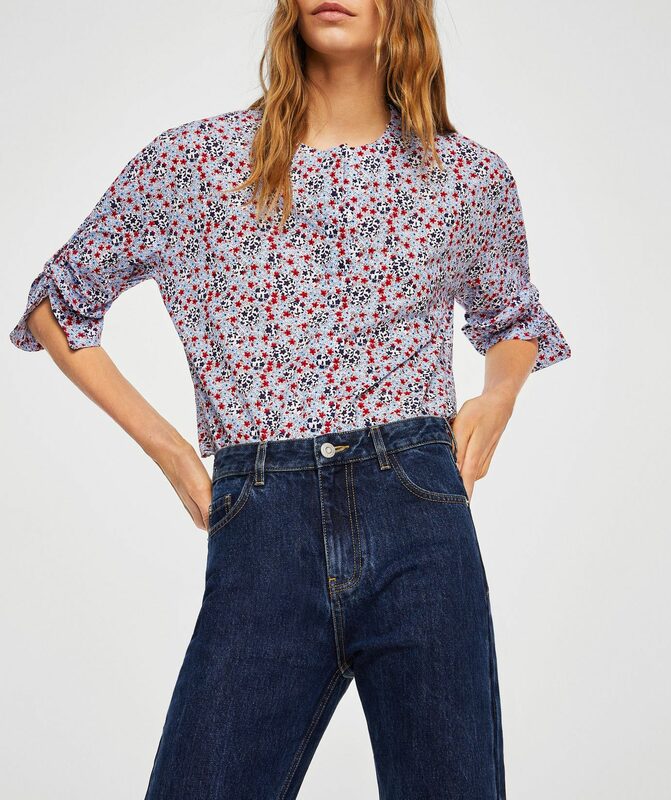 I think this Mango blouse looks like it’s from A.P.C. The pastel pink here is a touch girly, but the black background balances it out. 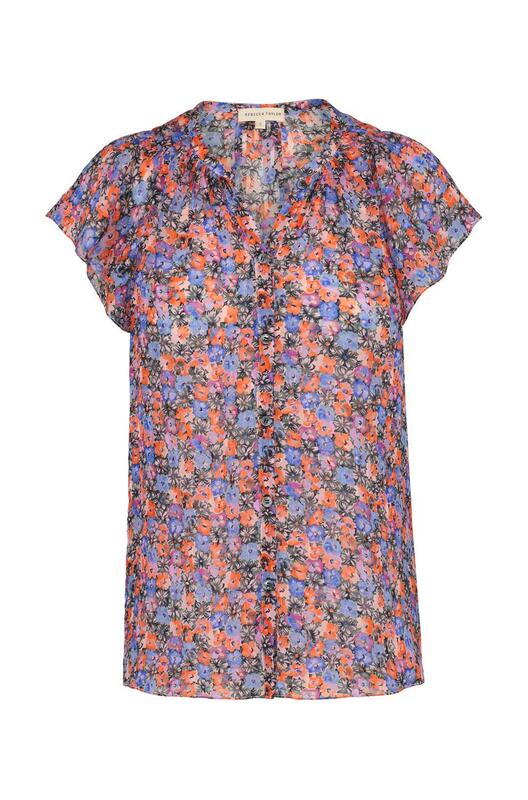 Such a great Liberty print on this shrunken R13 button-down. And I just like this because it’s red—and cheap. Here are a bunch of pretty silk tops. Great suggestions! A little floral-print top is exactly what I want to be wearing right now, but alas, it is 30 degrees. I didn’t realize that Nordies had started carrying Boden. Great suggestions! A little floral-print top is exactly what I want to be wearing right now, but alas, it is 30 degrees. I didn't realize that Nordies had started carrying Boden. Cute prints. Am I crazy, but I don’t understand the photoshopping in the A.P.C. image? The graphic designer should be fired. Cute prints. Am I crazy, but I don't understand the photoshopping in the A.P.C. image? The graphic designer should be fired. You mean the 1/2 sized leg? 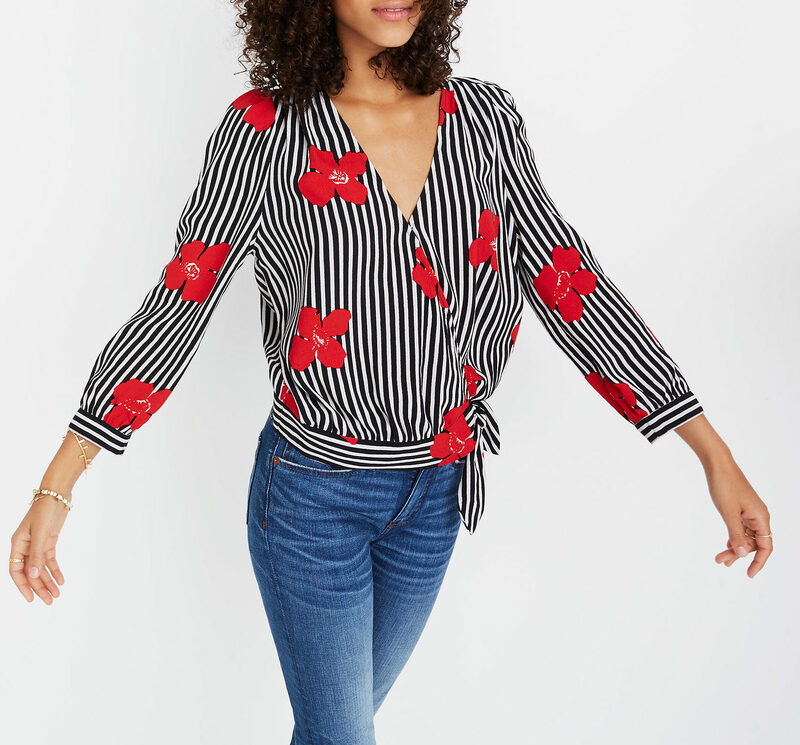 Excellent timing for these tops––we’re going to have another eighty-something degree day and all I want to do is wear flowy colorful things to distract me from the unseasonably warm temps! 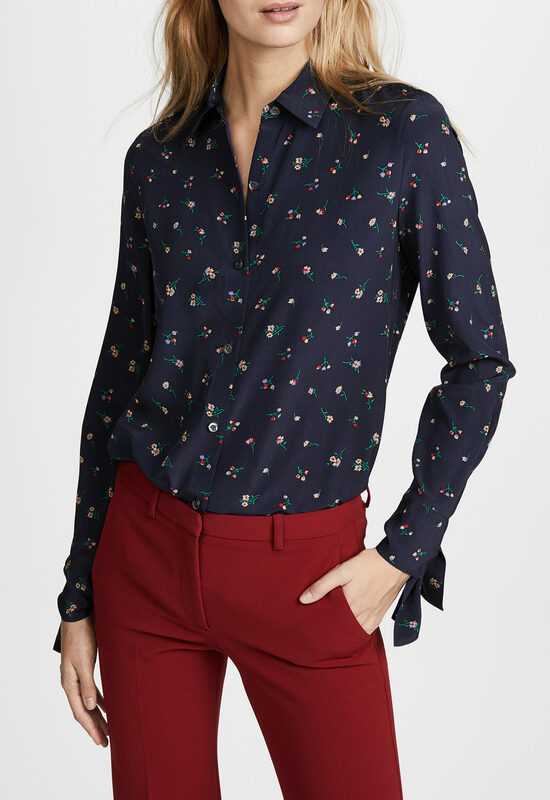 The J.Crew Liberty and the Mango LOUD blouse are both “needs” for my closet! 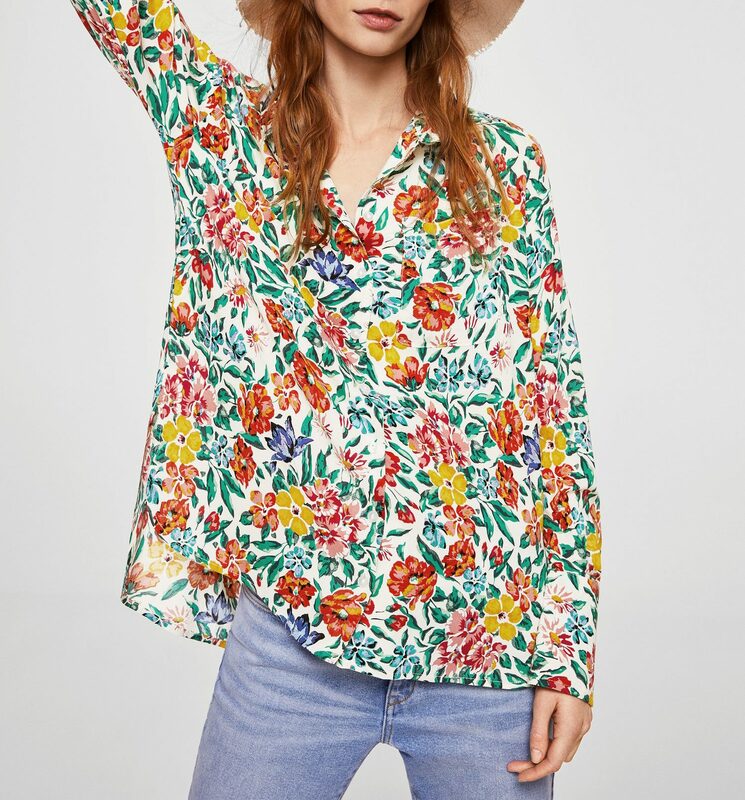 Excellent timing for these tops––we're going to have another eighty-something degree day and all I want to do is wear flowy colorful things to distract me from the unseasonably warm temps! 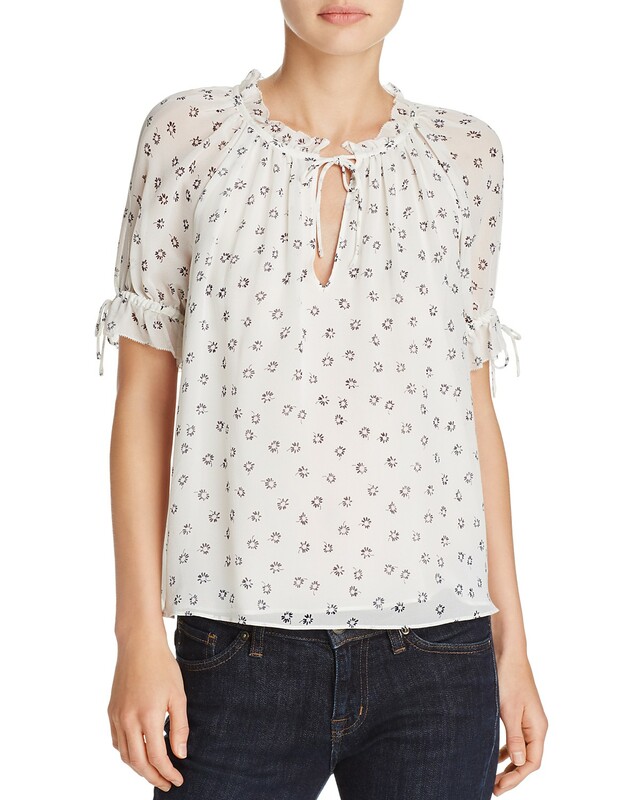 The J.Crew Liberty and the Mango LOUD blouse are both "needs" for my closet! This morning I was all revved up wondering: What is it going to be today, Kim France?!?! And you did not disappoint! 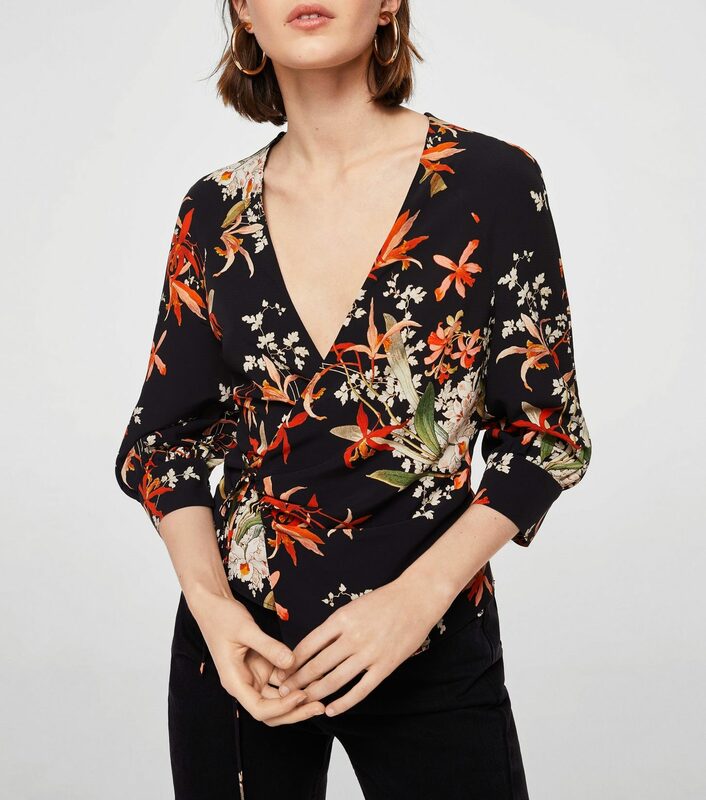 Love floral tops and this selection is spot on. I can not wait to see part two. The black with wee yellow roses wants to be mine😄. Me too! Both dark florals. Loved this selection even though I despair of winter ever ending. Am I the only one who LOVES floral prints but rarely wears them? 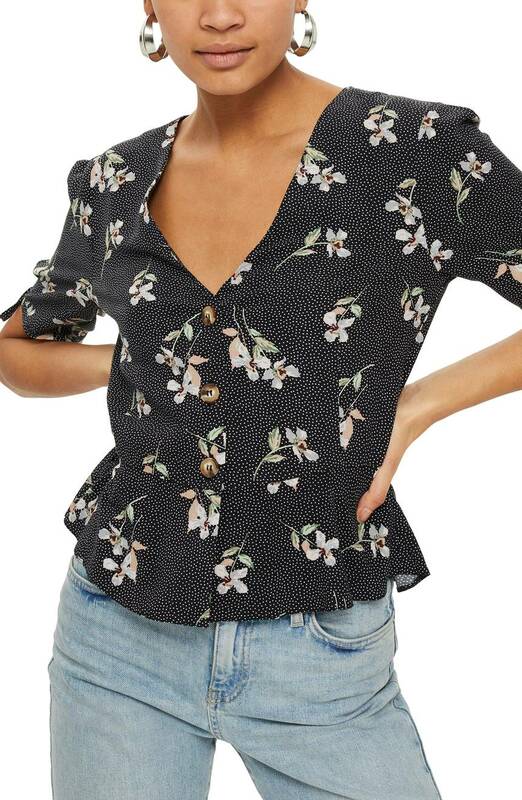 I have bought a lot of floral prints in the last year because they give me googly eyes but I don’t feel totally at ease in them or struggle with styling them? They’re so not me, and yet ever so appealing! And I’m drawn to the dark side, too. These are beautiful and even tho I’m not a floral print person, I’m quite tempted by the ones with dark backgrounds. They look new and fresh to my eye.